← The Weir – a riverside spring garden. It feels so magical when you discover a chance seedling that is a natural hybrid that has happened under your nose with no help from the gardener. 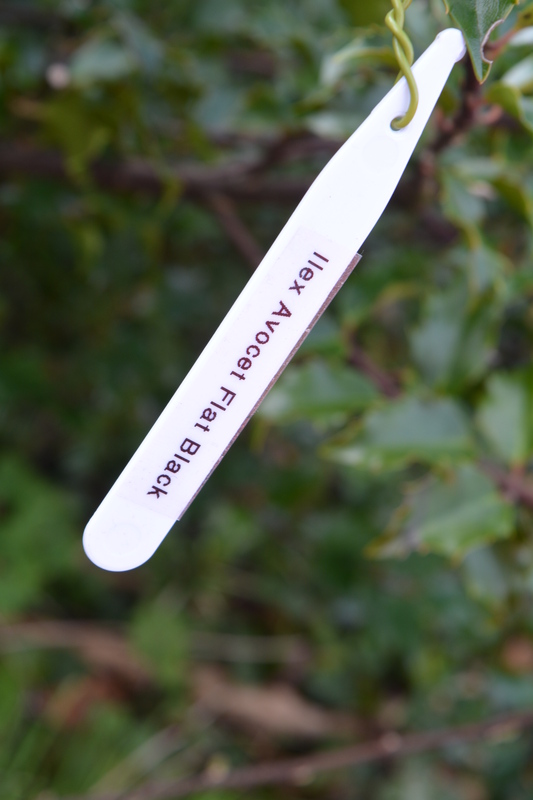 It is equally special when a surprise seedling is so special and different that you want to give it its own name. We have a few of our own Avocet plants that occurred in this way, two Hellebores, two Hollies, a Cotoneaster, a Willow and a Cornus. I thought it would be interesting to share them with you and let you see some photos of them to see what you think. Firstly I will share our two Hellebores, the first pictured below we called Hellebore “Jo’s Jewel”after our daughter Jo who creates beautiful jewelry. It has flowers of a delicate pink with tiny purple dots inside and faint hints of green at the base of each petal turning deep green at the base. The reverse of the petals are of a deeper pink colour. The petals are rounded in shape. 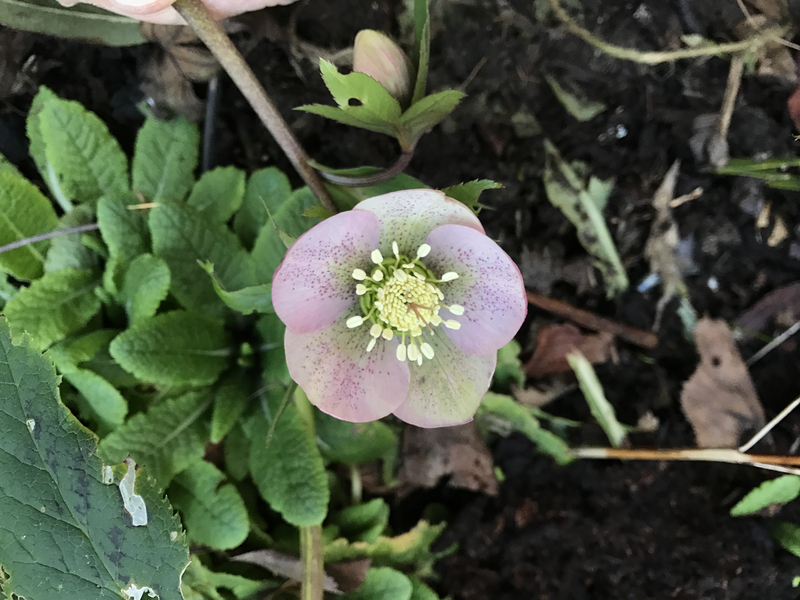 Our second selected Hellebore has purple-pink outer petals with fine lines of a deeper purple and spots adorn the inner petals. Each petal, although rounded comes to a point. We have named this seedling after our daughter-in-law, Sam so we call it Hellebore “Sammi’s Smile”. So these sister seedlings are named after two sisters! 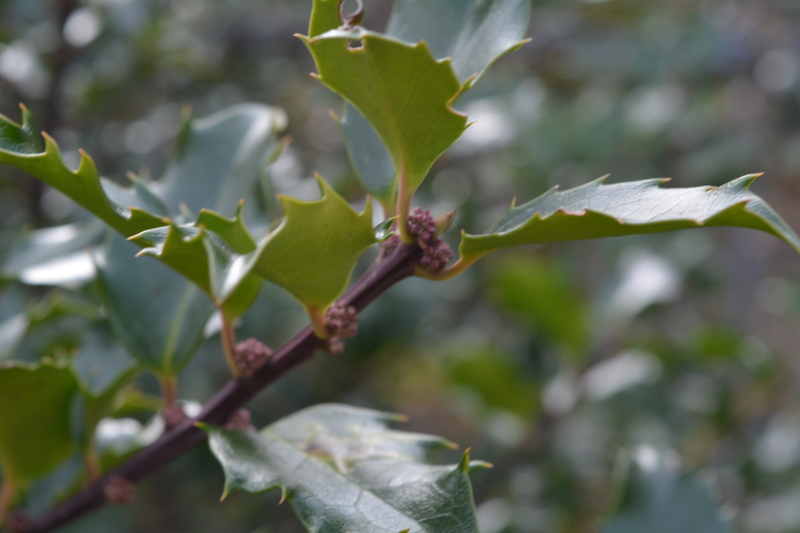 Our Ilex was selected from dozens of seedlings grown from berries from our garden at our last garden prior to our Avocet patch. We grew them on our allotment nearby and watched and waited to see if anything special developed. After a few years they began to show their potential and naturally most were pretty ordinary apart from half a dozen with very dark stems and foliage. We kept these and composted the rest. We carefully watched these finalists develop until we could identify their growth habit, leaf and stem colour and their flowering and berrying. Eventually we ended up with a select three with very dark and shiny stems and leaves, two we thought would make good standards that we could topiarise, and a third which seemed more delicate. Our third selection we have called Ilex “Avocet Flat Black” and after ten years it has grown to just 3ft tall and 5ft across. 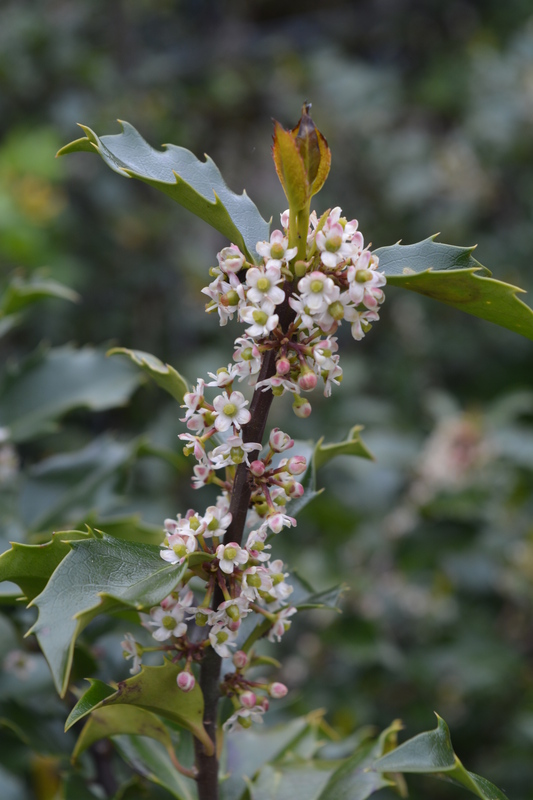 It has delicate dark shiny foliage and black stems, it flowers well and its flowers attract bees and hoverflies. The deep red berries are enjoyed by our resident Blackbirds and the shrub is enjoyed by our garden visitors. 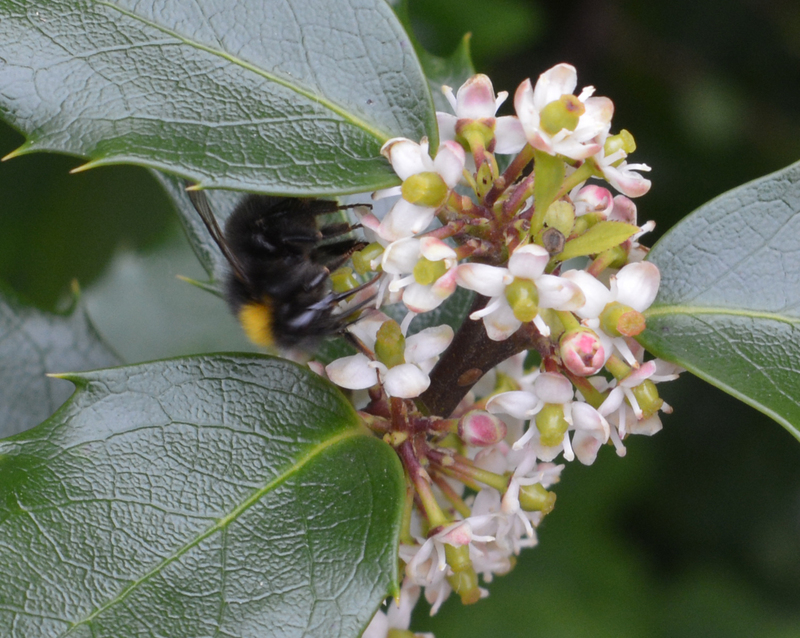 Here is our Ilex “Avocet Flat black” in flower and attracting bees. Salix alba britzensis “Wendy’s Orange” is a plant we grew by taking cuttings of a few branches of a friend’s Salix alba britzensis which showed very rich orange coloured stems. These stems glowed so brightly when caught by the sun. 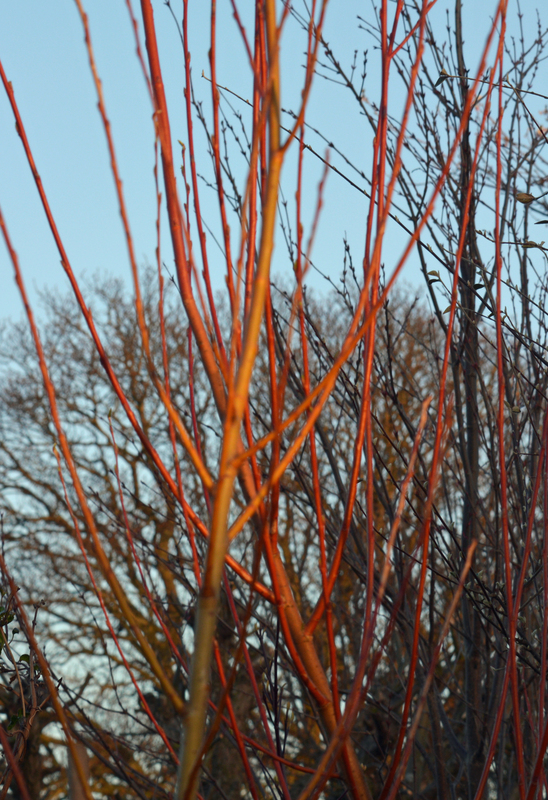 The friend was called Wendy hence the name we christened our plants, Salix alba britzensis “Wendy’s Orange”. We grew our cuttings on until large enough to take cuttings from them and so on. We grew a few on as standards that we could pollard and three of these now grace our Rill Garden. They look wonderful and so brightly coloured! See how the sun brings out the orange and makes the branches glow brightly. The first photo is taken under cloud, the second and third in sunlight. 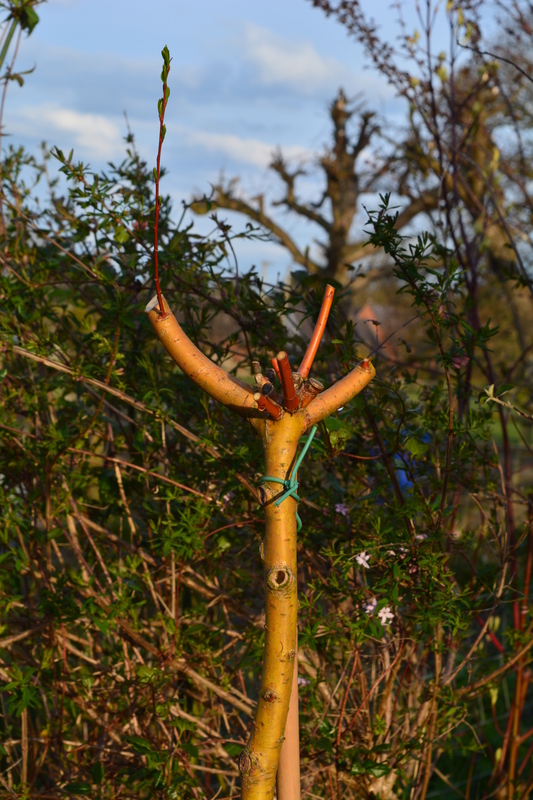 We pollard these willow trees to thicken their trunks and force them to grow fresh, colourful stem growth each spring. 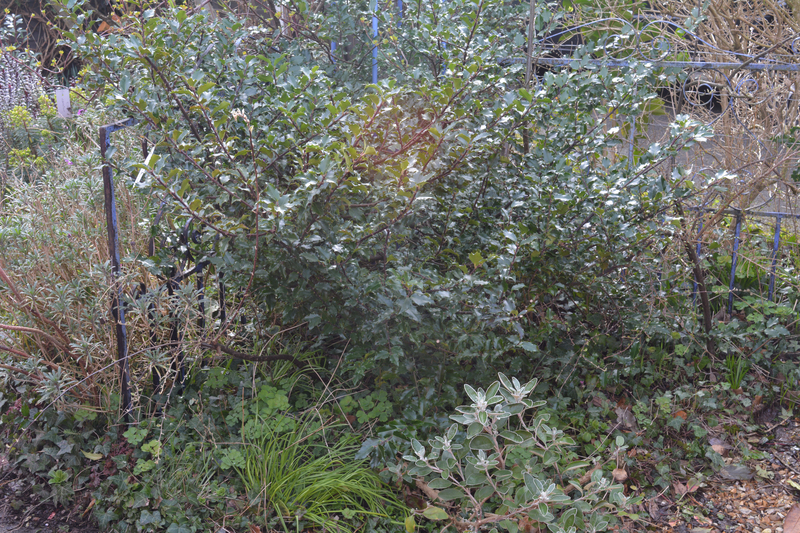 Our selected seedling Cotoneaster was again planted out on our old allotment near our previous home and garden. 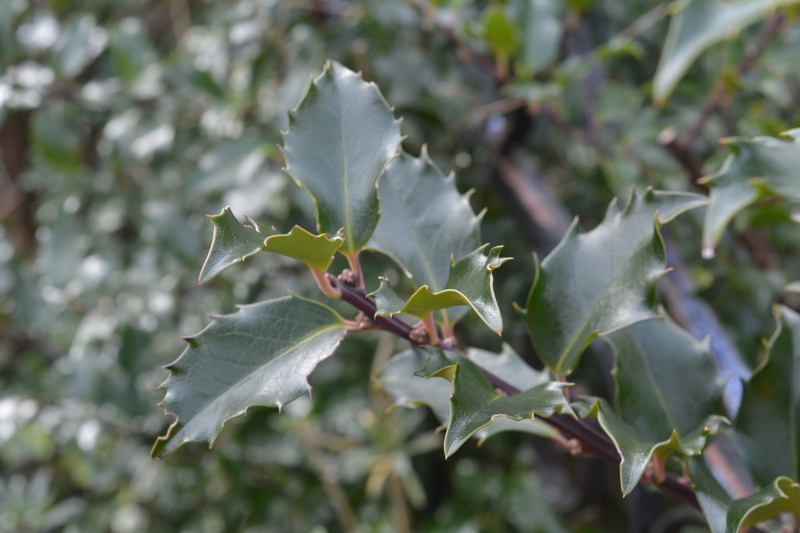 We selected out one very strong growing plant which looked far superior to the rest, its stems darker than usual, its leaves also darker coloured and heavily textured. When it matured enough to flower it did so profusely, attracting bees and hoverflies. These were followed by deep red berries, ruby red in fact, and highly glossy. Each berry is like a red gem, a ruby, and so we named it Cotoneaster “Jude’s Ruby”. It is much admired by visitors on our garden open days and group visits, who often ask if we have cuttings for sale. We are now trying to build up stock. Cuttings seem slow and not very reliable so we will also try growing from collected seeds. 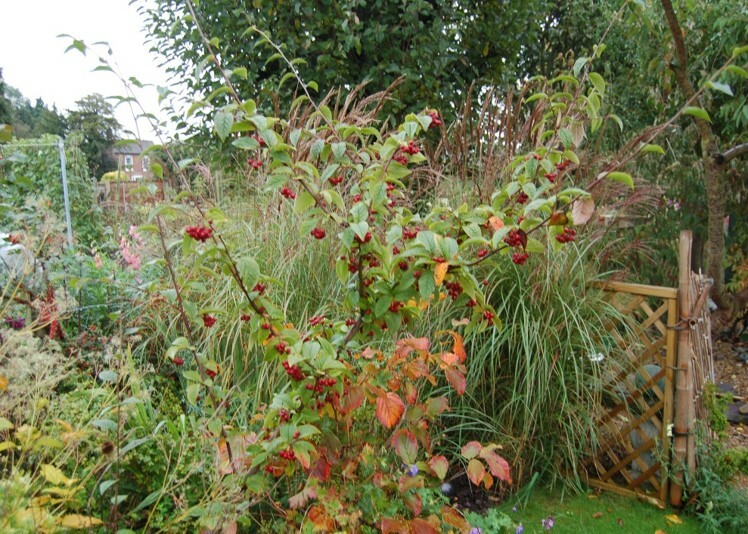 Our other shrub seedling also features the colour ruby red but not berries, coloured stems instead are its main feature. 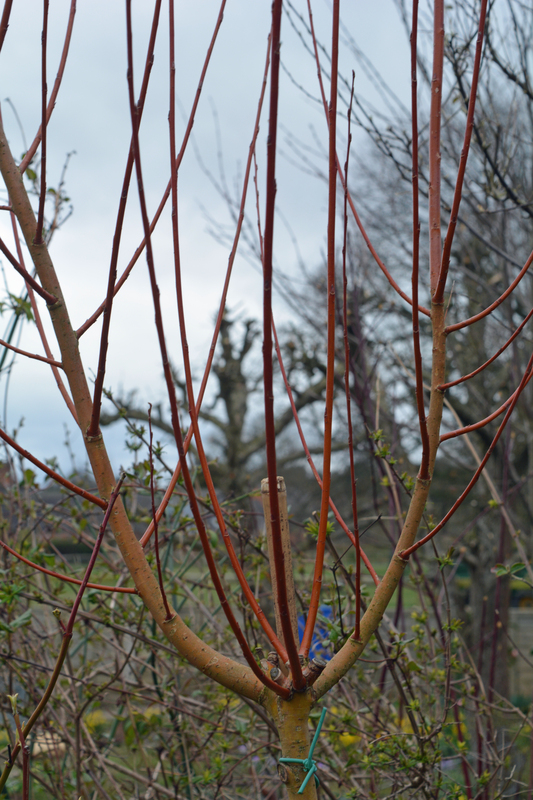 We named it Cornus “Avocet Ruby”. 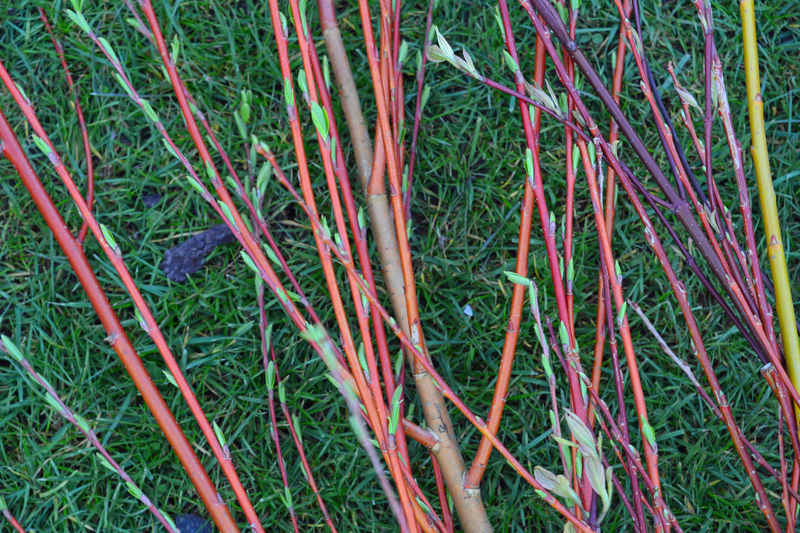 We selected it from seedlings which appeared on the bank bordering the wildlife pond, and were hybrids between Cornus Midwinter Fire” and other dogwoods grown for their coloured stems. We are now taking cuttings to help build up some stock from which we will be able to sell specimens to our garden visitors. The picture below shows its autumn colouring. Once these yellow leaves fall the brightly coloured stems of yellow, orange and ruby red are revealed in readiness for glowing so brightly in late winter sun. 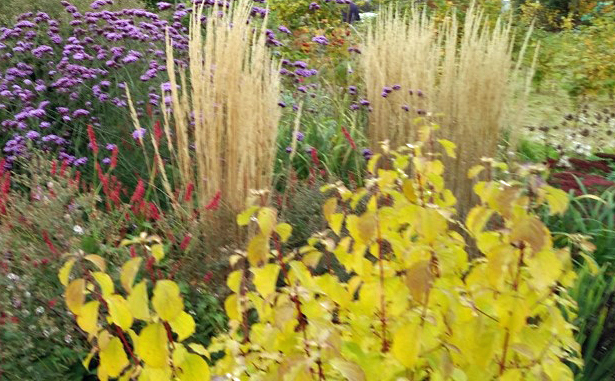 This entry was posted in gardening, hardy perennials, ornamental trees and shrubs, shrubs and tagged coloured stems, cornus, cotoneaster, cotoneasters, hellebore, hellebores, hollies, ilex, salix, willows. Bookmark the permalink.